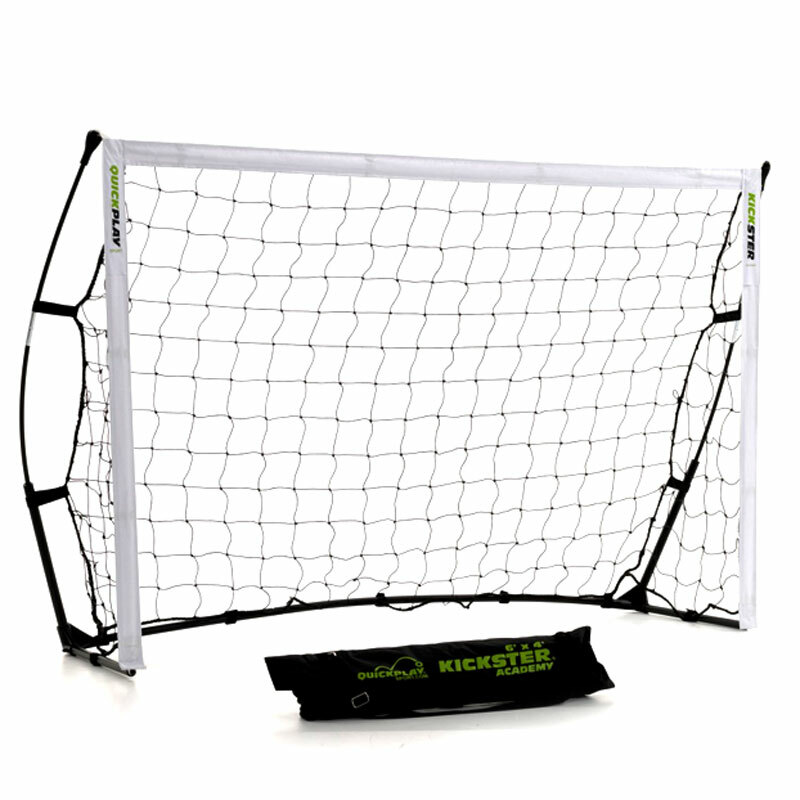 The Quickplay Kickster Academy 6ft x 4ft Portable Football Goal is for junior football (ages 12 and under). Forget the frustration of filling up the whole back seat of the car with one goal. This is a truly portable goal, which can be used anywhere, in the garden, park, playground, beach or wherever. Perfect practice and training goal. Assembled size - H 182cm L 121cm D 70cm (6ft x 4ft). Packed size - 18cm x 10cm x 72cm. 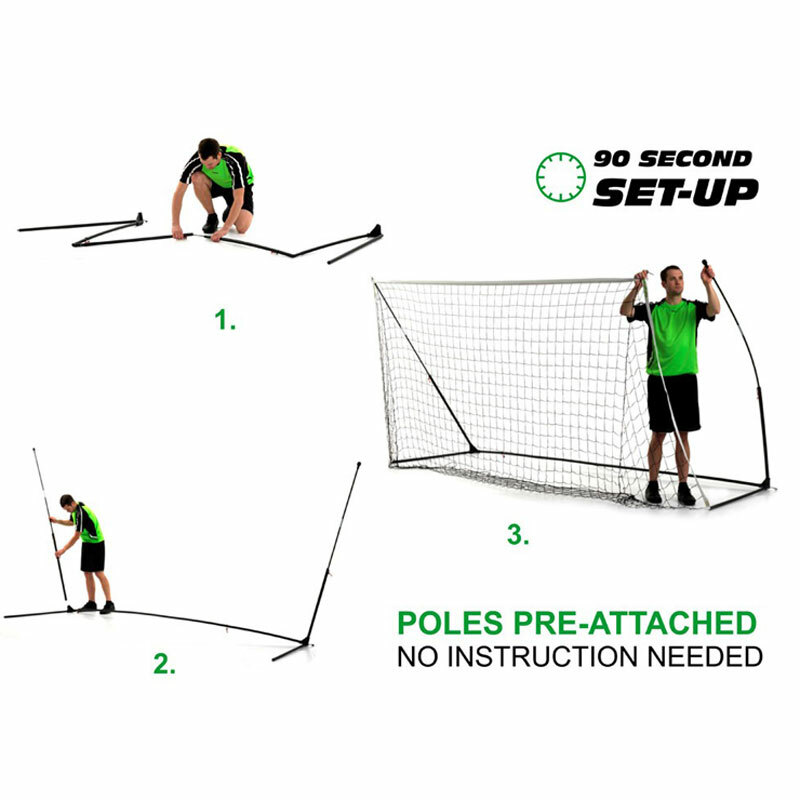 Good quality goals, sturdy and easy to assemble and put away. Really good product, easy to setup and take down with no hassle. The only thing I would say is once you trying to put it away in the bag it's kinda difficult to close but never the less you will find a technique to do it eventually. Bought this for my grandson's 6th birthday and he is thrilled with it. 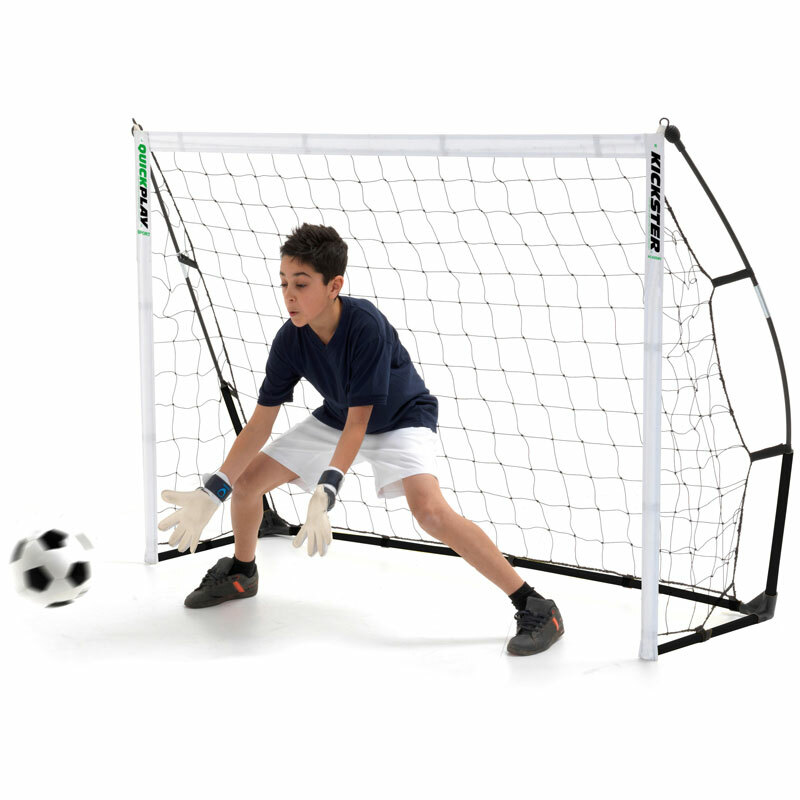 I bought this goal for my 7 year old boy to use for practice in the garden. It is an ideal size for the garden and the fact that it packs away into its own little bag when your finished means it doesn't have to be a permanent feature. The first thing I found is just how easy and quick it is to put up. With the poles attached with the elasticated cords like tent poles there's no messing around looking for the right sections, the poles simply fit together and you stretch the net onto the fittings and your done. Although the goal is very light when the U shaped pegs have it secured to the ground it can take quite powerful shots without moving. Very very easy tp set up and can take a pounding. No downs about this at all. Get two and you have a cheap and easy to set up pitch. Awesome !!! The football net was easy to assemble as stated on the box. It is light and portable. Overall a great product. 5 out of 5 Go for it! After trying so many inflatable alternatives and losing them to punctures and holes, finally I found something good enough to make my football lover sons playing happily and cheerfully in the garden, rather than grumpily playing video games indoors! Great quality, good price, quick delivery. Bought this for my 9yrs old. Was worried it would be too small at 6x4 but our garden isnt big. However he loves it and the size is ideal and makes scoring a goal that more challenging. Quality is fantastic and really is THAT EASY to put up. Now considering buying the cricket net.